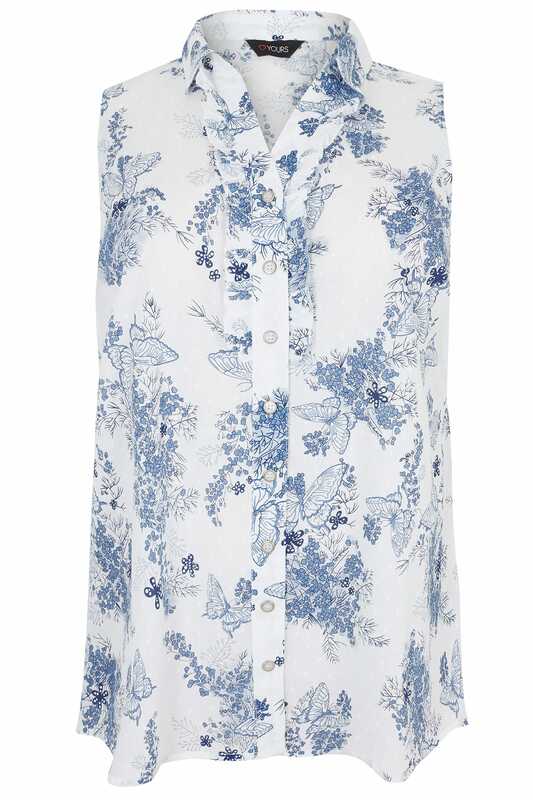 In a pretty blue and white floral design, this sleeveless shirt is ideal for casual wear. 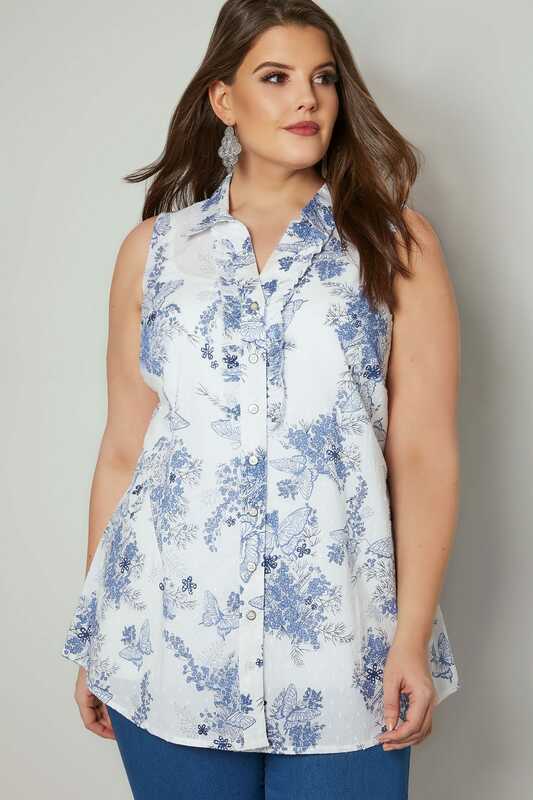 Featuring frilled edges to the button placket for extra detail. 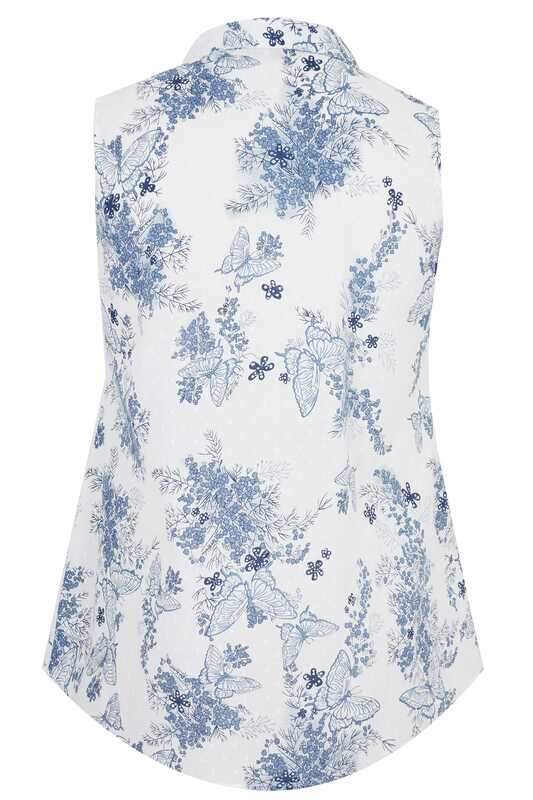 Team with skinny jeans and trainers for a chic off-duty look. 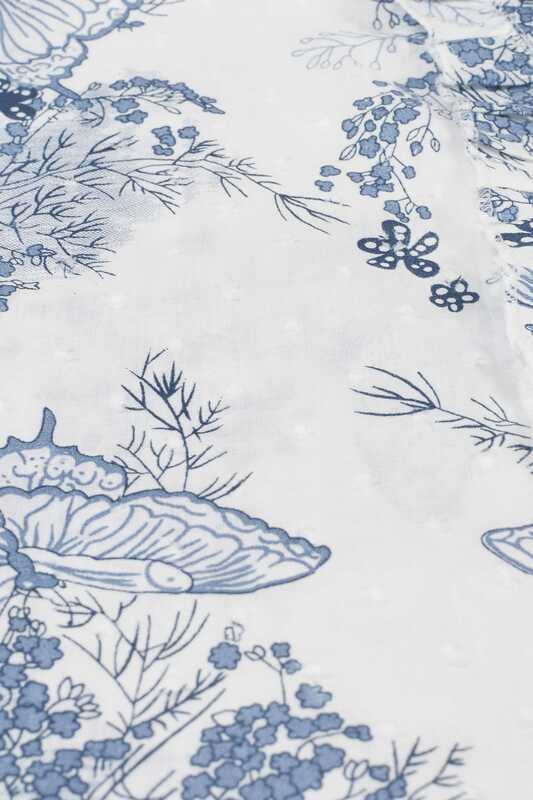 The floral print is on-trend for this season.